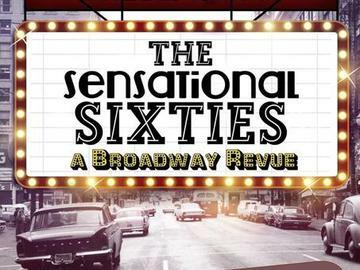 Featuring songs from Broadway's biggest hits of the 1960s there's a little something for everyone in this revue. Set in the theater after their performance ended a cast of singers passionately debate what was their favorite musical and show tunes of the 60s. As each cast member puts their candidate forward, the entire group breaks into song to celebrate the hits from their favorite show. With 4 part harmonies, laughs, and tender moments The Sensational Sixties will recall the decade that started with the "Camelot" of a Kennedy presidency and ended with change, hippies, and the hope of peace.